Coffee Nirvana has been located. I have found it…only 9 or so days and I’ve found coffee without sugar from the convenience store. 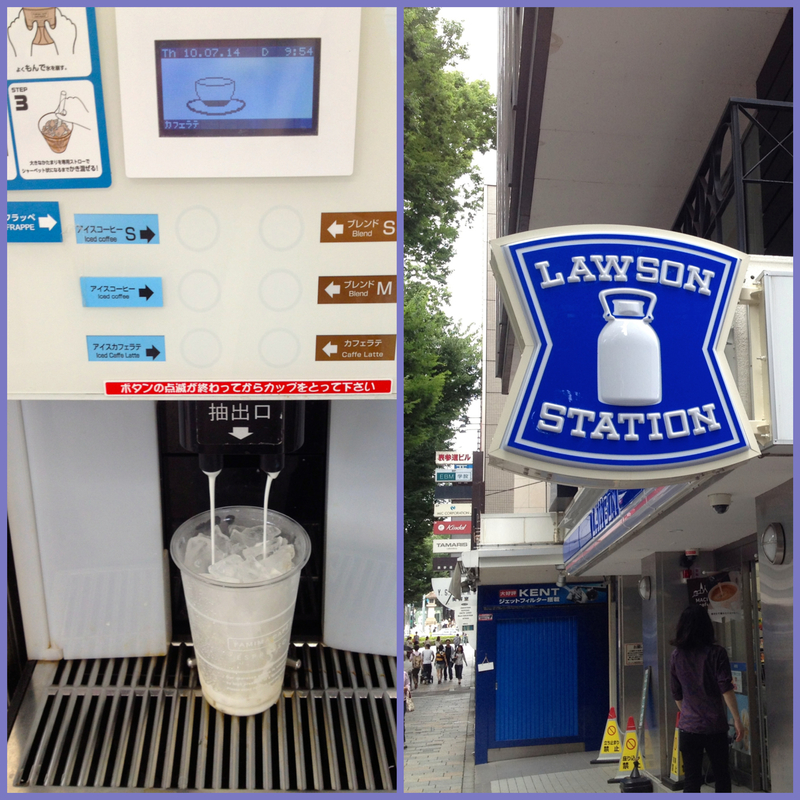 Lawson Station is like 7-11. I think they might actually be owned by the same people also with Family Mart. Anyway, I digress. I took Karis to her job this morning and the location to meet was near Family Mart. We were actually early so we went to get some drinks–the child has a serious addiction to jasmine green tea. I suppose there are worse things. Whilst browsing Family Mart, we noticed a line up of people with little cups of ice getting iced coffee from the machine. We were intrigued…iced coffee? Iced tea? Iced LATTES! Alas the little cups of ice were not immediately apparent so I had a look around and found a cup in the freezer with a lid and a straw and went to ‘ask’ the man. I used the word ‘ask’ loosely as I merely point at the iced coffee machine and hold up my cup and he says emphatically, ‘ja NAI” and makes crossing motions with his hands which I took to mean, “no, wrong cup” and also magically interpreted to mean you must buy your cup from the cashier first which I did (ippon no iced caffè latte onegai shimasu). Not sure exactly what I said, but it worked and for the magical sum of Y180 I got an iced latte WITH NO SUGAR. I’m so beyond happy, you have no idea. I’m now ready to face the 30+ degree heat AND the typhoon!